B47FS-X is a digital HD video camera recorder,and this device is a common HD video camera as well as a professional driving recorder. It can record the high resolution image with the pixel as high as 2560x1080P 30fps WFHD,2304x1296P30 SUPER HD,1920x1080P60 FULL HD and take the picture of 4 mega pixels.Using micro SD card(Max 64G) as the storage device,compact size,low power consumption,HD camcorder can record more detailed perfect video image.Video also can be transferred by HDMI transmission wire directly to the high quality LED TV(HDMI) for high resolution display. f.The F2.0 Six Layer Optical Glass Lens, dust and heat proof, helps capture high quality images even in bad driving environment. 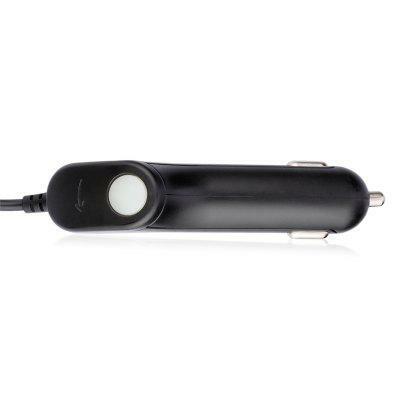 Want to be notified when the Car Dashboard Camera DVR gets even cheaper? Make sure you snag the best price by entering your email below. We'll email you when the price drops, free! We're tracking the price of the Car Dashboard Camera DVR every day so you know if that deal is really a steal! Check back for to check the best price for this product - and whether its current sale price is really the cheapest it's been! No Car Dashboard Camera DVR coupons found!